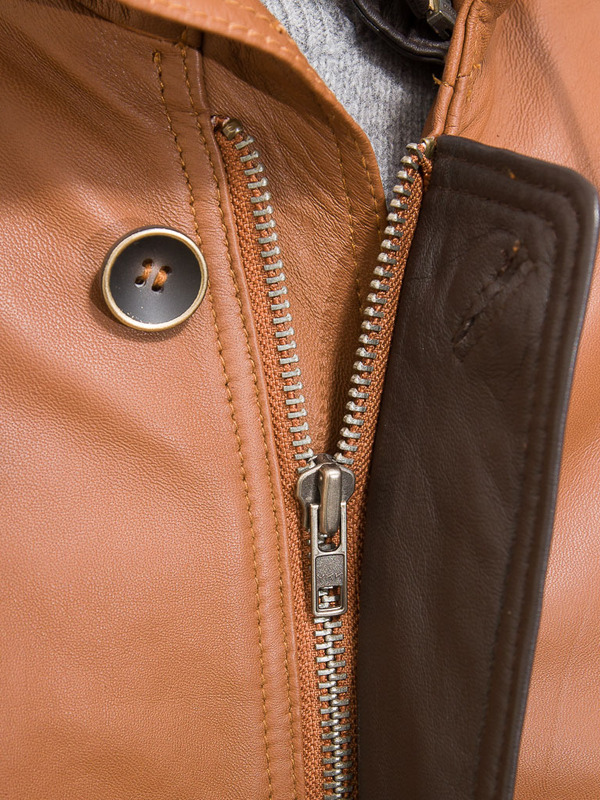 The perfect winter leather coat in tan. 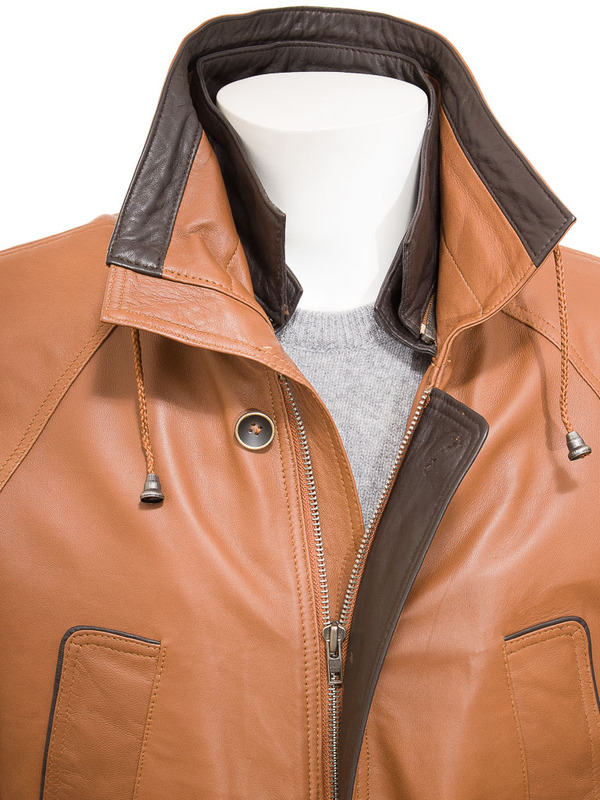 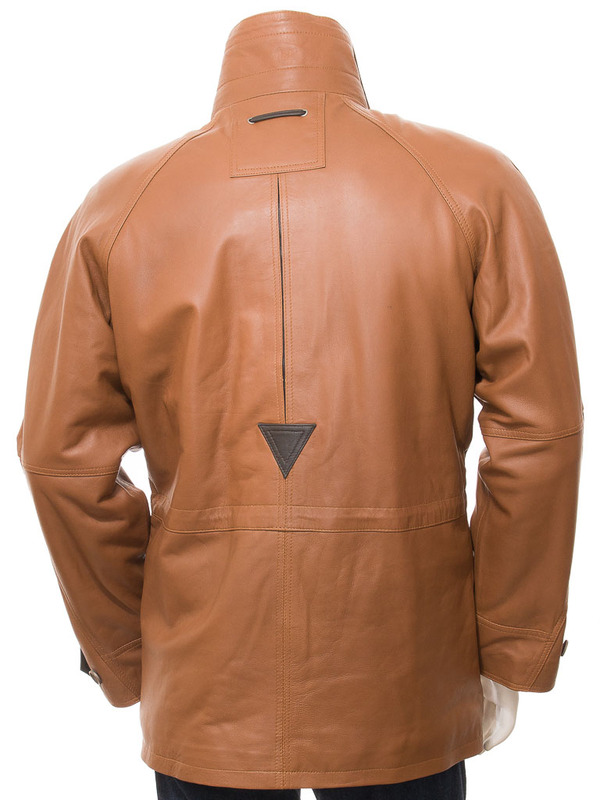 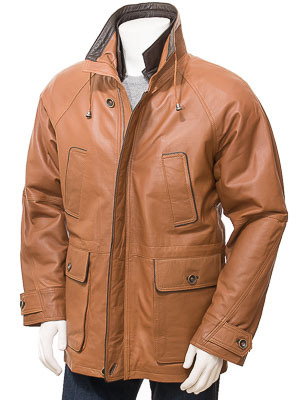 Contrasting brown on the collar and zip facing lifts this jacket out of the ordinary. The leather is a sumptuous sheep nappa hide and it fastens with a YKK zip with a fly front to protect it from harsh winter winds. The high collar can either be turned up and adjusted with the integrated drawcord or turned down for a more classic look revealing the detachable tan inner collar.